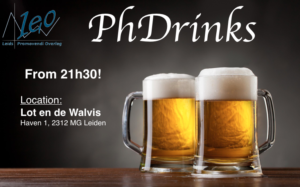 Soon is coming our next monthly PhDrinks! You are all kindly invited to join us on Friday, April 20th at the Lot en de Walvis, starting at 21:30! (Note that we will start a bit later this time, because of the dinner time of the restaurant). 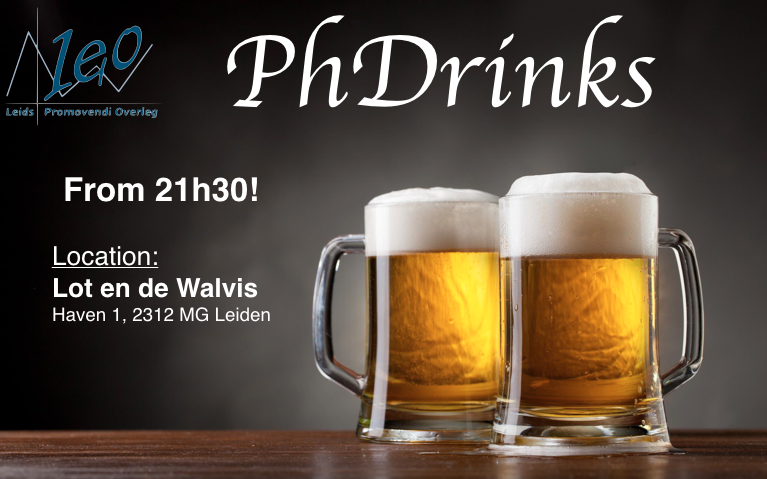 Those drinks are open for all PhD students who wants to share a drink with some fellows and as always, the first round is on us! Hope to see many of you! !